Long before Condoleezza Rice, Bill Clinton, Mike Huckabee or John Kerry took up politics, they picked up a musical instrument. As a senator, Trent Lott formed a barbershop quartet, and the late senator Robert Byrd played a mean fiddle. Yet while music education planted these seeds, its funding seldom survives the very politicians it inspired. 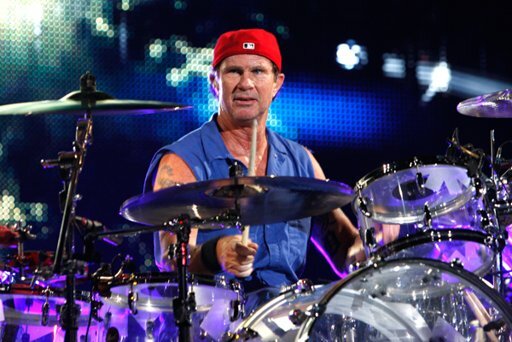 This week, during a visit to Washington, D.C., Red Hot Chili Peppers drummer Chad Smith will lobby members of Congress to spare the blade on music funding in public schools. On Tuesday, Smith will join jazz guitarist Bernie Williams on behalf of the National Association of Music Merchants to demand a stronger national presence for music instruction in the classroom. Their visit comes one week after Senate Democrats and House Republicans released opposing budgets, and at a time when the National Education Association union expects the sequester to slice more than $4 billion in spending from the Department of Education and Head Start. "Right now, [music education] is in jeopardy, and they have the power to change it and do something good here for everybody and every kid," Smith tells Rolling Stone. "If I didn't have music education in school, I probably would have ended up in jail or dead. And instead I ended up in the Rock and Roll Hall of Fame." A drummer since age seven – when his first kit was a set of Baskin-Robbins ice cream containers – Smith now works with budding musicians in a number of programs, including New York's Collective School of Music and Little Kids Rock of New Jersey. (In 2001, his bandmate Flea also founded the nonprofit Silverlake Conservatory of Music in Los Angeles.) Among the representatives Smith will meet in Washington this week are members of the arts-promoting Congressional STEAM Caucus and the Rock and Roll Caucus (formed last year). A ceremony honoring U.S. Senators Jay Rockefeller IV and Joe Manchin III for their contributions to West Virginia will follow. Some studies have revealed that schools that offer orchestra and marching band boast better attendance rates than schools without them. Still, lawmakers acknowledge these elective courses are often the first to go when budgets tighten. "It's just a fact. It always gets cut," Manchin, the former West Virginia governor, tells Rolling Stone. "If they put sports and arts on the same plateau, we'd be fine. I got a scholarship playing football at WVU, and I'm telling you that because I see preferential treatment." To confront such cuts in the age of the sequester, more foundations should consider investing in instruments and music programs as states struggle to prioritize available funds, says former Utah governor Jon Huntsman, Jr.
"The human brain is basically hardware for music," Huntsman says, adding that creating more charter schools would offer more students a broader curriculum. The grandson of a public school music teacher, Huntsman played in jazz band as a student and briefly pursued a career as a rock keyboardist. In 2011, while running for the Republican presidential nomination, he performed piano alongside Paul Shaffer on The Late Show with David Letterman. "It certainly enriches society, and without it, we're all kind of impoverished," he said of music education. "But it also adds a certain something to our innovative streak as the world's largest economy. If we can somehow make that argument, music would go from a non-core to a core subject, I have no doubt about that." Smith will release an album with the indie-rockers Outernational later this year and expects to start work on the next Red Hot Chili Peppers record as soon as September. However, his next gig, which is tomorrow in Washington, will be with neither band: instead, he'll back a West Virginia middle-school jazz band.